To download the older SESAH Newsletter in .pdf format (Adobe Acrobat) please follow the links below. 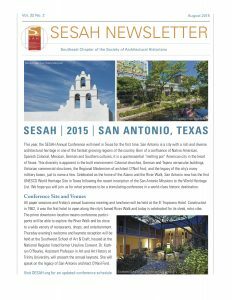 The new e-newsletter is published quarterly and contains Information about SESAH events, conferences, symposia, and news. If you would like to subscribe to our mailing list, fill out the form below (there is no need to fill this out if you are already a SESAH member). Instead of downloading a pdf, you can also view the newsletters in style on our Issuu.com site… Try it out! *An expanded version of the Fall 2005 Newsletter is available exclusively online. 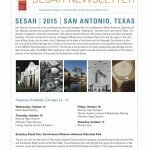 This expanded SESAH newsletter includes an essay by Robert Craig, Thoughts on the Cultural Impact of Katrina: People and Things, and a web-site status report. View both as .pdf files here and here. 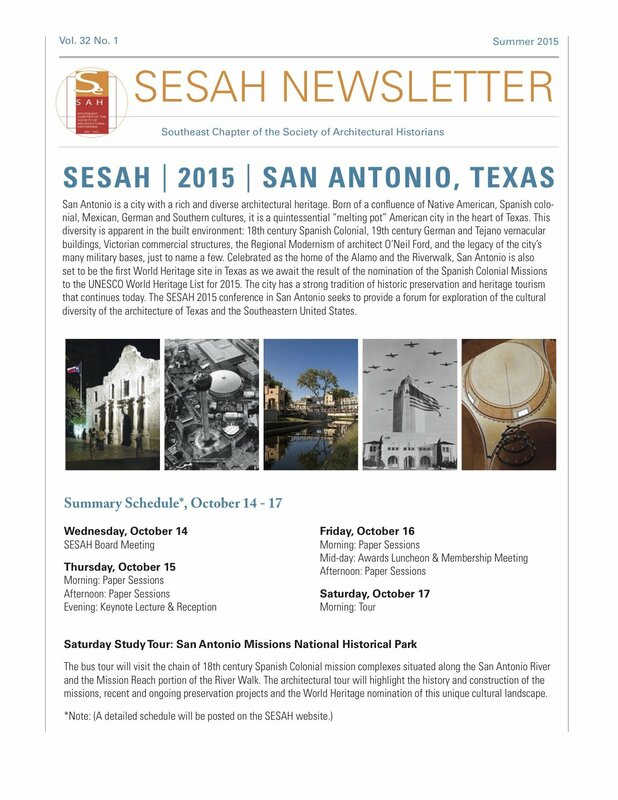 The Newsletter of the Society of Architectural Historians is published bi-annually and keeps readers informed about upcoming SAH events, conferences, tours, grants and fellowship opportunities, awards, career postings, publications, and exhibitions. Since December 2003, an expanded version of the SAH Newsletter is now available online to everyone visiting the SAH website. For access to recent issues of the SAH Newsletter, visit the SAH website: www.sah.org and click on publications > Newsletter, then click on the selected issue.